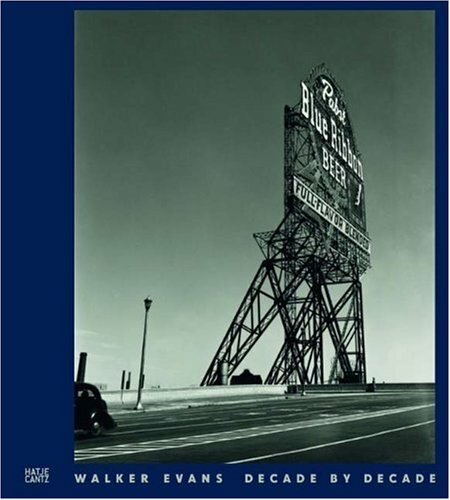 Walker Evans (1903–1975) is undisputedly one of the most influential American photographers ever. His work altered the consciousness of his country, and many of his images are fixed in collective American memory. His uncompromising documentation of poverty during the Great Depression has become an iconic part of the history of photography, yet his equally innovative works produced in the ensuing decades have met with less acclaim. This monograph is devoted to Evans’s complete body of work, and it deliberately features many of the photographs that are only rarely seen, including the Polaroids he shot in the early seventies—his last images. The photographer’s consistently heightening influence in the seventies and his symbiotic relationship with legendaryMuseum of Modern Art curator John Szarkowski comprise the core of this revisionist volume.